I get asked a lot what this name means. 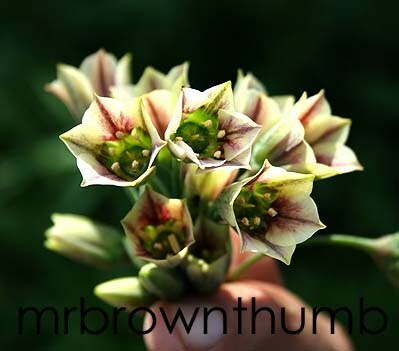 To make a long and convoluted story short a "brown thumb" is somewhere between a "green thumb" and a "black thumb." Green thumbs are said to have a special touch with plants and can grow anything. Black thumbs kill everything and eventually settle on fake plants. 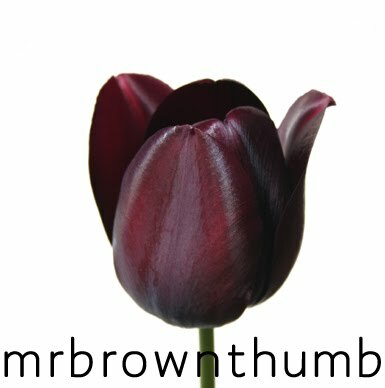 One day I wanted to post on a gardening forum and needed to come up with a name and came up with MrBrownThumb. A few weeks later I started a blog with the same name so I could upload plant photos and it has grown into a real life gardening blog where I detail my adventures in gardening on a small patch of dirt in Chicago, IL. On this particular blog I cover everything about gardening that interests me. Topics vary from entries on house plants, plant propagation, seeds, annuals & perennials, cacti and succulents, gardening tips and whatever strikes my fancy. As of this writing there have been over 60k visitors from all around the world since 1/28/08 when I started to keep track using a ClustrMap. My garden blog received a mention in the print edition of the Chicago Tribune on 3/11/08 for being one of Chicago's few garden bloggers. It was also linked to by the popular Chicago blog, Gaper's Block, for the same reason it got mentioned in the Trib.Before FeedBurner was bought by Google it picked my blog for a "Publisher Buzz" mention where they highlighted publishers using their service. When I was a member the of BlogBurst network my blog was syndicated across a number of mainstream media outlets. I have no horticultural training at all, nor do I have any professional experience with photography. If I ever give off the impression that I do please smack me. I actually wanted to be an advertising man but haven't gotten around to trying to work in the field. Fortunately, I've been able to put to use a lot of what I learned in school on my blog. I have to do my own copywriting, marketing, photography, blog design, social & search engine marketing and find my own advertisers. In a way publishing a blog is like putting together a magazine and can be as serious an endeavor as you want it to be. One of the best things about being a garden blogger is that primarily it is about fun and the blog allows me to engage the nerdy wannabe botanist inside me. If you're reading this there's a chance that you landed here because you were interested in something to do with gardening or plants so head on over to the blog. Otherwise, I'll be updating this domain to add some other information that you're more than welcomed to take in. screen capture of my blog in syndication. Two of my gardening tutorials have been featured on the front page of Instructables.com.